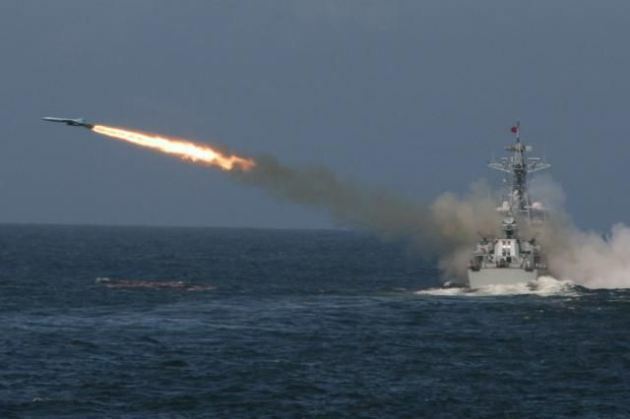 Amateur photograph shows Russian warship testing a cruise missile in the Gulf of Mexico. I have a question that might put the proposed Iranian nuclear deal in proper perspective for Americans. What if five or six world powers got together to decide whether Mexico should be allowed to develop nuclear weapons — without consulting the United States of America. Do you think the United States government would have something to say? Do you think they would try to block the agreement? Isn’t that exactly what is happening with the Iranian nuclear deal that is on the table? Why wasn’t Israel asked to be part of the negotiations since Israel is the direct target of Iran? But six countries have gone ahead and negotiated the Iranian nuclear deal without even consulting Israel. This is a sham. La Ciudad de Mexico, Mexico – The United States must make a full armed invasion of Mexico. Surveillance from Google Earth and now amateur photographs show Russian ‘whaling’ ships are actually armed with cruise missile capabilities. Vladimir Putin has maintained Russian ships stationed in the Gulf of Mexico were merely ‘for commercial purposes’ throughout the 2007 – 2009′ period of maritime accord and investigation, where George W. Bush ordered an investigation in increased Russian ships harbored near Mexican seaspace in the Gulf of Mexico. Putin kept his operation clean until now and we see America has no choice but to lead a full out invasion of Mexico. Since the times of John F. Kennedy, Russia has desired to brink nuclear destruction to the United States. Putin’s land grab in Crimea will be the first of Russia’s newly found expansionist tactics. With Russia now owning the world’s only space shuttles, they will soon take control of the International Space Station and refuse to give any other nation a ride to the orbital superweapon. With such a space-based advantage, the Russians can easily shoot down America’s satellites and shoot down any shuttle that tries to make an approach. Russia is going to use its space advantage and its missile attack to catch the United States at a weak point in defense. Do not forget that Mexico already agreed to work with the Germans during the great World War, as proven by the Zimmerman Telegram. There is also the fact that Mexico attempted a land invasion of America at Fort Alamo, where their troops mercilessly attacked innocent Americans. Mexico has never apologized for those attacks and even more troubling, they still show lack of remorse by flooding American shops with Che Guevera t-shirts. Are you feeling your life is less than what it was intended to be? As you look at yourself in the mirror today, do you think you are less than what you wanted to be? That you are not the person God wants you to be? That you haven’t responded as you should to God’s call in your life? If you have feelings like this, there is hope. If you feel guilty about your life and the things you’ve done, there’s a way out. God simply wants you to recognize the fact that you cannot be and do what you want with out Him. He wants you to know He’s provided a way out for you to climb of desperation into the abundant life by giving his only begotten Son who did what you couldn’t. Once you’ve confessed Jesus is Lord, believing God raised him from the dead, you became a child of God. You’ve been adopted into God’s family and have nothing to fear. No matter what you’ve done yourself — no matter what this world has thrown at you — no matter what your health is, your level of prosperity, your race, your class or your gender, you have access to the Creator of the heavens and the earth through our Lord Jesus Christ. 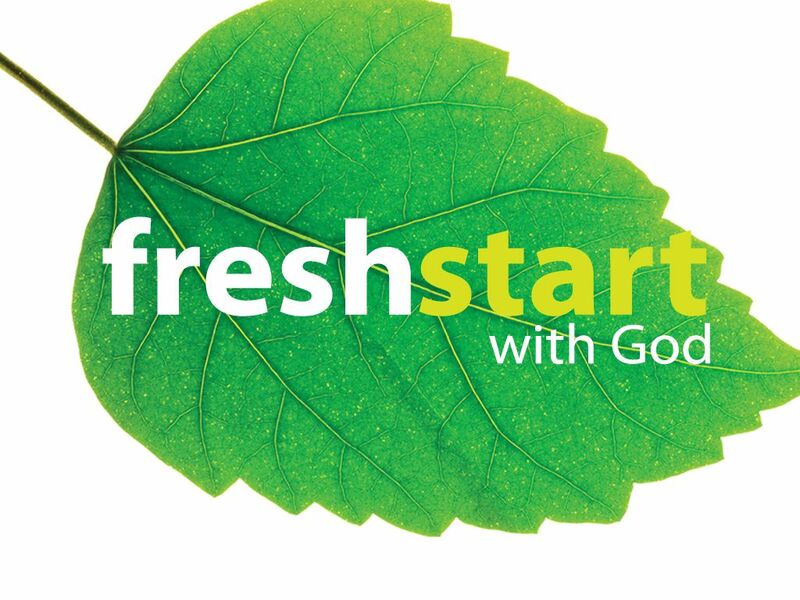 Perhaps it’s time you made a new start — in your mind — to respond to God fully, openly, honestly and transparently. You can make a new start any time you want on any day of the week. You can make a new start every day as a matter of fact. Don’t let the past hold you down. Don’t let fear of the future and the unknown prevent you from pressing forward. Make a new start and your Lord Jesus Christ will be with you to guide you and strengthen you. I wrote a song about making a new start. Perhaps it will speak to you and inspire you to do the same. Enjoy! It’s coming straight from my heart to live more in God’s way. I’m singing a new song; give God the praise! He knew it all along that I’d rejoice all my days. He said it doesn’t matter what I’ve been through. What He’s forgiven, He has forgotten too. That’s where I hide His Word so it will never part. To love Him with all of my ability. And even more I can love His sons! So I’m learning how to live more abundantly. Will I fully know the wonders of His grace! The United States is changing, just as Barrack Obama promised. But it isn’t changing in a positive way. No, no, no — it’s changing the wrong way. If you haven’t noticed, the United States is clearly in decline. The liberal policies that are now shaping large parts of our culture are imploding. All you have to do is read or watch the news to see what I’m talking about. While people like former President Jimmy Carter says America’s decline is unavoidable (which he also said when he was President), conservatives don’t see it that way. They feel that if conservatives are elected to office, the decline will turn around as it did when Reagan took office from Jimmy Carter. It’s not a question of inevitable decline but of unsound policies. Ben Carson, a Christian candidate for president for the Republican Party recently said, “It’s Not Politics or Economics, It’s the Culture.” Another Republican candidate who is a Christian, Mike Huckabee, also emphasized the need for an American cultural and spiritual renewal to overcome the current challenges. But what chance of winning the election do these candidates have? Very little. The majority of our country may say they are Christian, but in practice, there is little to prove it. Many say they stand for Christian Biblical values but how many vote that way? The LGBT agenda is one of the biggest threats to Christian independence today. When a person gets arrested for not doing something their faith restricts just because somebody who believes in whatever it is wants to force them to do it, we have a cultural problem of enormous significance. 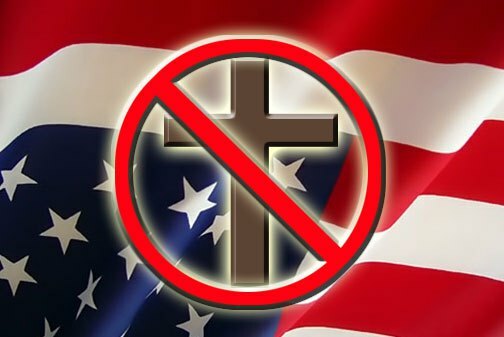 I feel a plethora of court cases are in store for those Christians who want to stand firm in their faith but who are being specifically targeted, on purpose, by those who want to make them either violate their faith or quit whatever business they are in. Statistics show that less than 2% of United States citizens are of the LGBT persuasion. Then why it is that at least half of everything being produced for public consumption — television commercials, billboard ads, movies and television shows — is full of homosexual, lesbian and transsexual characters and references? Isn’t this disproportionate? But what do you expect, most of Hollywood is controlled by LGBTs who have a solid agenda they are pushing through mass media. I went to see the new Ted 2 movie last week with someone, thinking it would be a laugh, but it was clearly as one person said, “a homo promo.” The movie’s agenda was to promote “gay rights.” I did very little laughing that day. Our profession as Christians is to live as Christ lived. We are to model his patience, love, and mercy toward others and we are exhorted to live by the words he spoke. Jesus spoke of marriage — and specified it to be between a man and a woman. No matter what laws are passed, those laws do not make it right in God’s eyes. Stand for the truth. Stand for what the Bible teaches. We are now at the time in our country where it may actually cost you something to believe and practice your true Christian faith. The proof of your commitment to God and our Lord Jesus is evidenced in how you respond when you are confronted by the so-called authorities in relation to some actions you took or refused to take on account of your deep-seated convictions of faith based on God’s Word. Now that’s something to stand on. Praise be to God. The United States may be in decline right now, but with God’s help we can shift gears and steer it in the right direction. The declination can be reversed. We need people willing to stand on God’s Word who will live how God wants us to live. We need to elect true conservatives into the highest offices of our land and rid ourselves of those who would subvert American for their own ends. We can reverse the trends. Will you help do so?